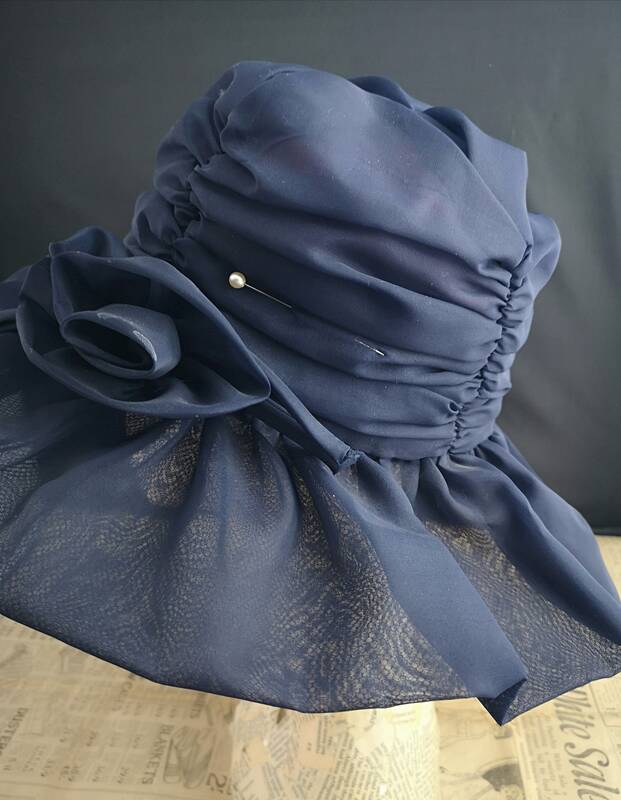 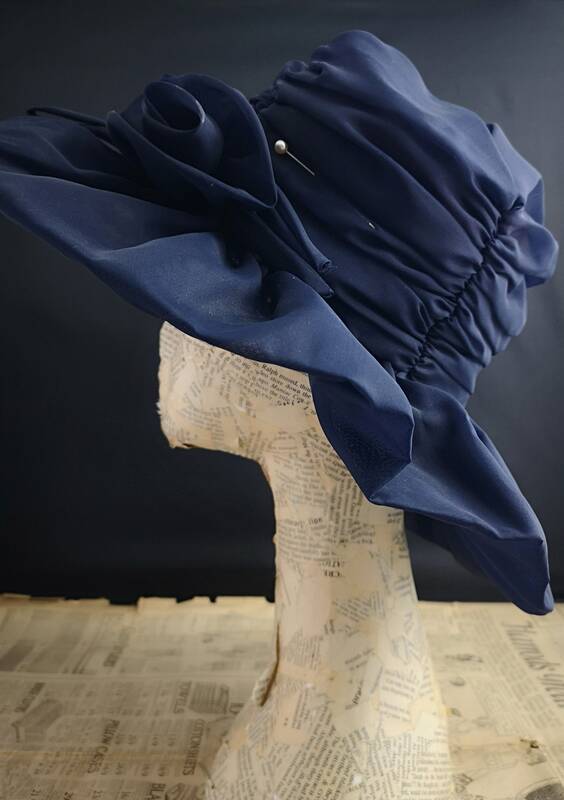 An incredibly pretty late 1950's navy blue hat. 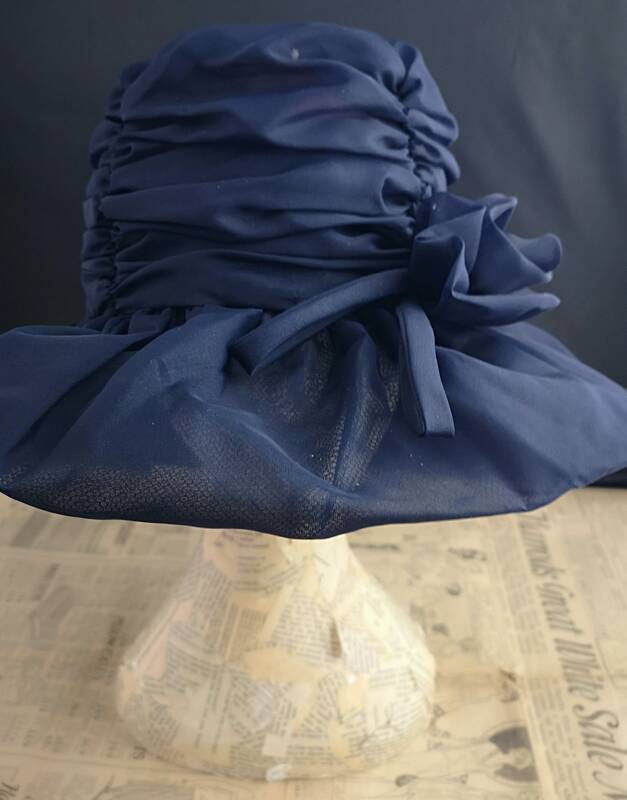 Made from a polyester chiffon which is ruched around the band with a slightly stiffened wide brim. 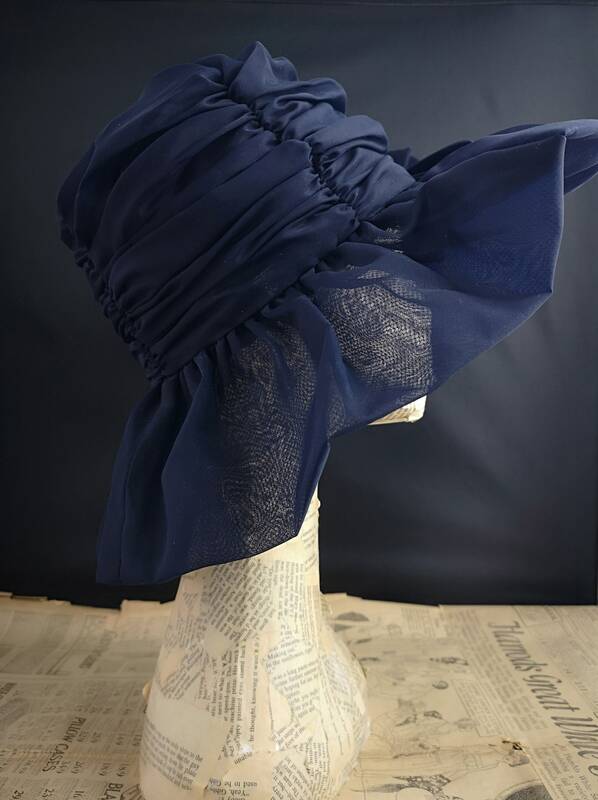 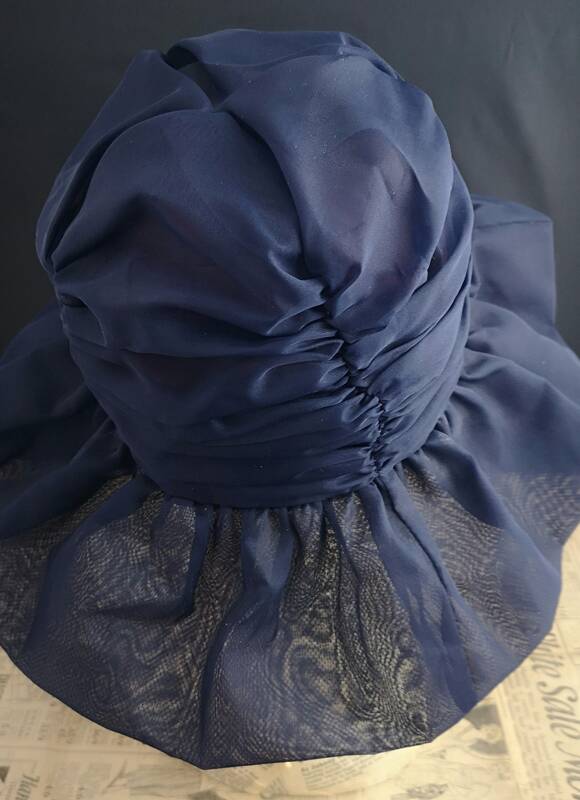 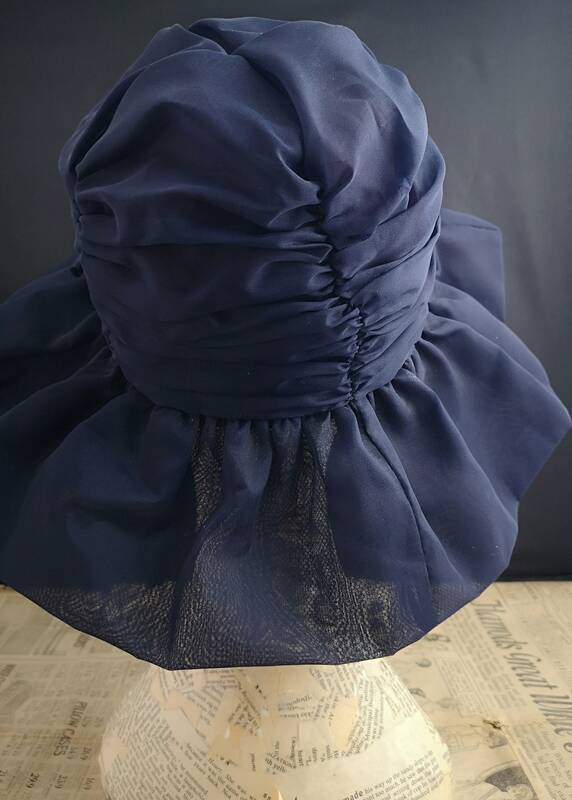 There is a rose detail to the side with dangly ties made in the same blue chiffon. 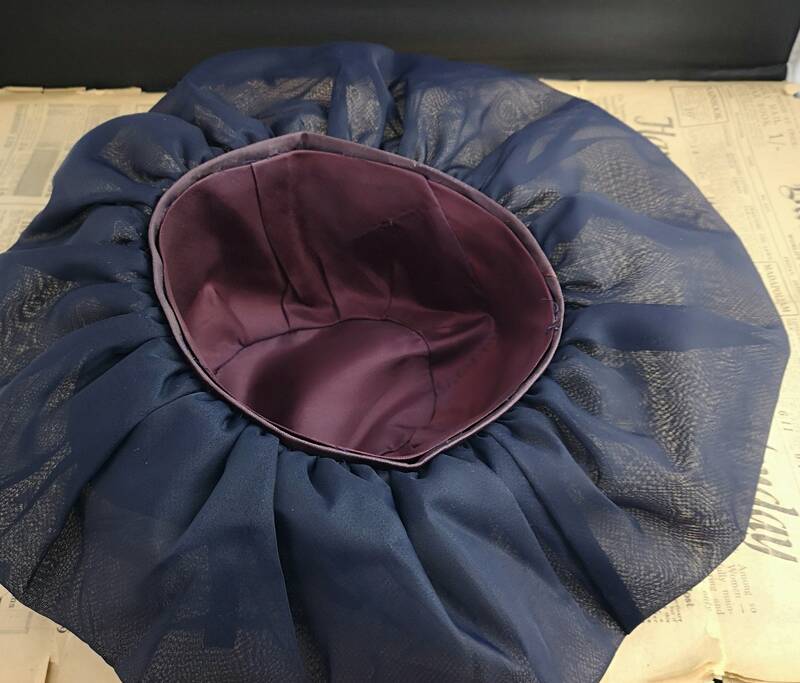 It is lined in a purple fabric and comes complete with its very own hat pin which is a silver tone. 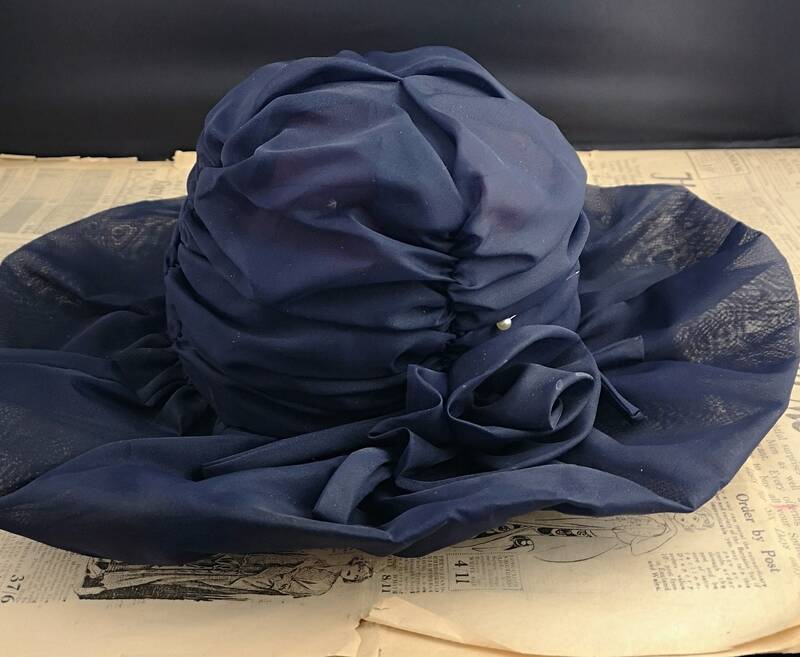 Good vintage condition, there are a couple of whitish marks on the flower at the top and a small one on the hat but this may clean off.